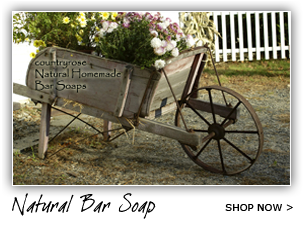 Over the past 18 years Country Rose Soap has been proud suppliers of natural soap products including our natural castile handmade soaps and our olive oil liquid castile soaps to Canadian consumers. 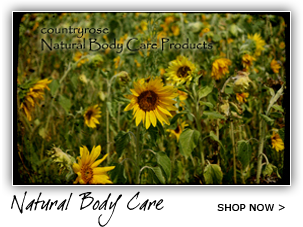 We are pleased to introduce to our Canadian customers our new lines of natural skin care products, baby care products, environmentally friendly home cleaning products and natural wax candles. 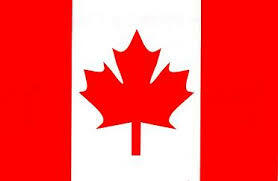 Discover the difference high quality, made in Canada natural soap products can make in your life! All Prices are in Canadian Dollars and are shipped via Canada Post. ON SALE - 10% OFF. Completely natural & biodegradable without the use of harmful synthetic chemicals. Formulated with a blend of saponified olive oil and castor oil, distilled water, extracts of rosemary and green tea, hydrolyzed quinoa protein, vitamins E plus true essential oils chosen for your hair’s specific needs: Rose Petal and Spring Blossom for Dry to Normal Hair; Country Mint and Lavender Fields for Normal to Oily Hair. Excellent as an overnight facial moisturizer, massage into sore, tired muscles or painful arthritic joints. Also used for insect bites, burns, psoriasis, eczema and other skin conditions. Unlike many on the market today, our Country Rose 100% Olive Oil Liquid Castile Soap is a true Castile soap containing no harsh foaming ingredients or chemicals. The mildest and most moisturizing of all soaps, our 100% Olive Castile Liquid Soap is available in Unscented, Lavender, Lemongrass or Country Mint. Unlike many on the market today, our Country Rose 100% Olive Oil Liquid Castile Soap is a true Castile soap made from Organic Extra Virgin Olive Oil, and contains no harsh foaming ingredients or chemicals. The mildest and most moisturizing of all soaps, our 100% Olive Castile Liquid Soap is available Unscented. Due to the natural dark green colour of the Organic Extra Virgin Olive oil this soap will have an amber to greenish hue. Handmade Soap - Made with saponified 100% pure olive oil with the addition of activated charcoal which is a specially produced form of carbon derived from bamboo. We are excited to introduce our new Charcoal Castile Unscented natural handmade soap bar. We have added activated charcoal to our popular olive oil castile soap bar to take advantage of how the charcoal will help to draw impurities and toxins from the skin, helping to provide relief from acne and other skin problems. Unlike many on the market today, our Country Rose 100% Olive Oil Liquid Castile Soap is a true Castile soap made from Organic Extra Virgin Olive Oil, and contains no harsh foaming ingredients or chemicals. 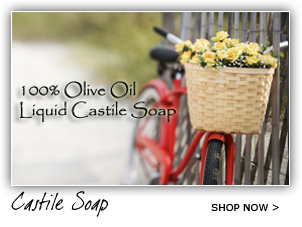 The mildest and most moisturizing of all soaps, our 100% Olive Castile Liquid Soap is available Unscented. Due to the natural dark green colour of the Organic Extra Virgin Olive oil this soap will have a slight amber to greenish color.